COVENS - Orbis Veteribus Noti Tabula Nova. COVENS, J. / MORTIER, C. - Orbis Veteribus Noti Tabula Nova. Orbis Veteribus Noti Tabula Nova. - COVENS, J. 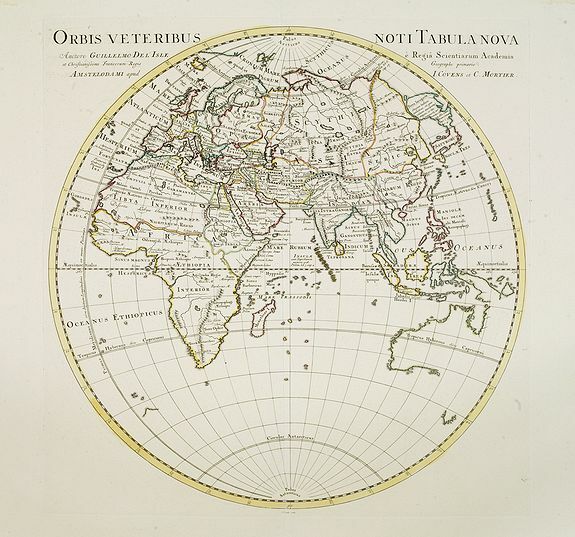 / MORTIER, C.
Title : Orbis Veteribus Noti Tabula Nova.. Size : 19.3 x 19.3 inches. / 49.0 x 49.0 cm. Description :Map of the Eastern Hemisphere, including Australia, with the tip of Diemensland. Japan's Honshu is called Satyrorum , and Kyushu Insulae Tres.